A cabin in the woods spook show that’s eerie, tense and minimalist – but as well-crafted as it is, it’s just too minimalist. It Comes At Night has foreboding elements that everything beyond the woods, everything in the rest of the world is sick and not right. 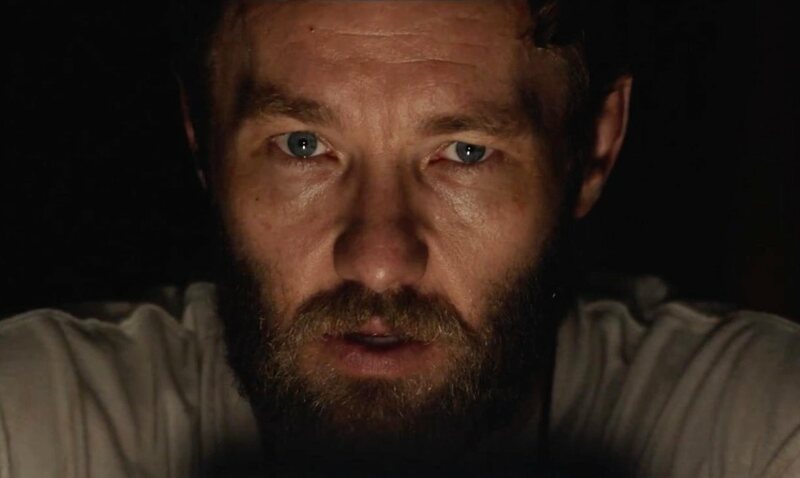 Joel Edgerton plays an over-protective man of the house, but as we’re dealing potentially with the apocalypse (or are we? ), over-protective is exactly the kind of stern quality one would hope for. Paul is a former history teacher, and he has a wife (Carmen Ejogo) who is abiding to his demands, and a son (Kelvin Harrison Jr.) who is nocturnal – that part is worrisome because when he gets the kind of lack of sleep that he seems to be getting, you worry he’s eventually going to hallucinate. When he does sleep, it’s all nightmares for him. In his bad dreams, a rapid progressing virus is going to breach the home, and he’s going to suffer spasms, projectile blood and bile, and then die. The action rarely leaves the house. But soon enough, somebody tries to break in. Will (Christopher Abbot) thinks the house is deserted, and all he’s looking for is food and water. But he meets the merciless Paul who ties him to a tree, duct tapes his mouth, and beats him just a tad too much, in my opinion. Paul is eventually convinced to invite Will, his wife (Riley Keough) and their toddler son to live with them. Strength in numbers, is a reason. That Will can bring live chickens to eat, is a second reason. Maybe to beat loneliness, is a third reason. However, in a cutthroat world such harmony between competing progeny cannot last. The characters are well-written, but they are also all so guarded that we never really peel open any truly interesting layers within them. In a way, these two families harmonizing, then clashing, is reminiscent of early Polanski. The movie is also good enough at times to capture the nighttime eeriness of George Romero’s 1968 “Night of the Living Dead.” There’s a dilemma in the last third when the front door has been unlocked overnight, and you don’t know who has been in or out of the house. Downside: it can irk the viewer that the film doesn’t allow enough of a good hint as to how that happened. As directed by Trey Edward Shults, the film has an effective shot language, and it deftly toys with your emotions. But ultimately those emotions are the frustrations you have with the film. I like that somebody out there thought up a thriller that doesn’t depend on overwrought special effects and overkill. 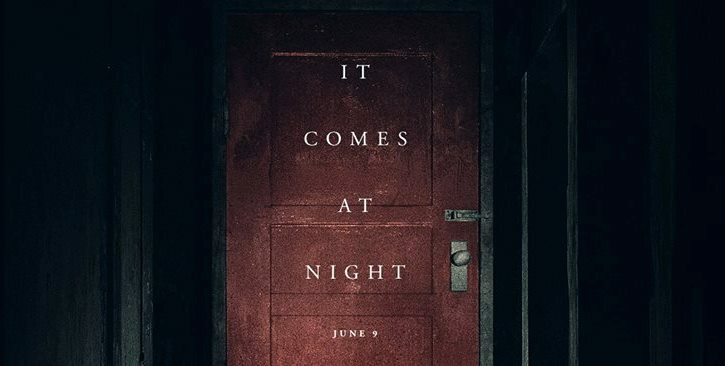 “It Comes At Night” (that title, by the way, what’s It? and what Comes?) is drama too vague, always beating around the bush. It doesn’t satisfy enough. It’s only fair to say that the last shot of the film is no cheat. It is remarkable how much drama the shot conveys without any of the surviving characters saying anything. You know what they have to do. Maybe Shults was nearly onto something with his low-key approach to the doomsday premise. He just should give the audience a little more to chew on next time. Film Cousins: “Carriers” (2009); “The Road” (2009); “Contagion” (2011); “Z for Zachariah” (2015).